Second year Business & Management students Alex Memory, Ben Cummings and Emily Lancaster managed to travel an impressive 5650.8km in 36 hours without spending a single penny in order to raise money and awareness for three Reading-based charities. Reading Raising and Giving society (RAG) proposed the ultimate challenge: Student Jailbreak 2016. On 5-6th March, students all over the country were tasked with travelling as far away from campus as possible whilst spending as little as possible to raise money for their chosen charities. Previous University of Reading teams have made it as far as Argentina, Sydney and Thailand in the 36 hours. Regularly updating their supporters through social media before, during and after their journey, the Henley trio expressed their gratitude and encouraged challenges in return for donations, for example, sing for your supper in return for a £5 donation. 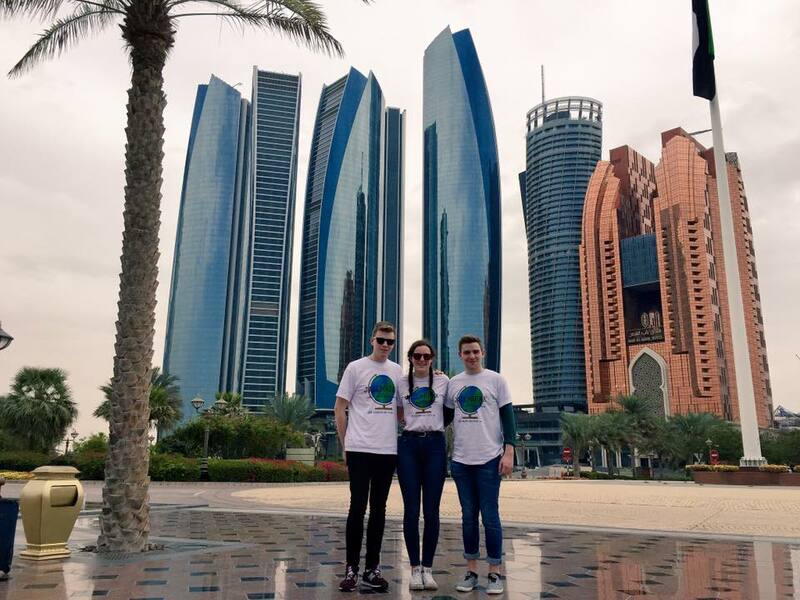 Going by the team name “Ben, Mem & Em”, they succeeded in utilising their contacts to get free return travel to Abu Dhabi as well as gaining generous sponsorship from local company Adams Estates. Their fundraising page show the overwhelming support, generosity and encouragement from friends, family and anonymous donations enabling them to raise over £1,100 and counting! A big well done to Alex, Ben and Emily for their amazing efforts and achievements - these donations will make an incredibly positive difference to Trust House Reading, Voice of the Child, and Creating Better Futures!